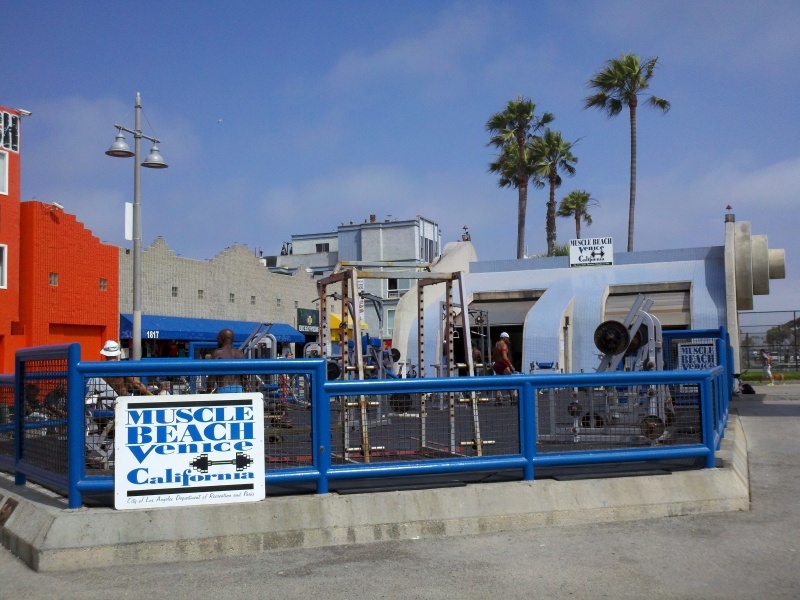 This ride starts in Santa Monica and leads south along the coastline, to Long Beach and back. 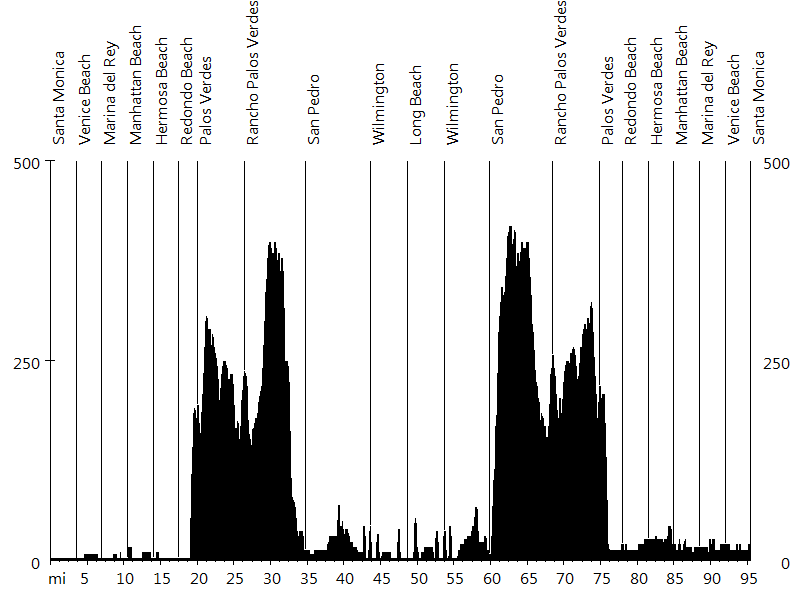 Except for some hills on the Palos Verdes peninsula, the route is flat. 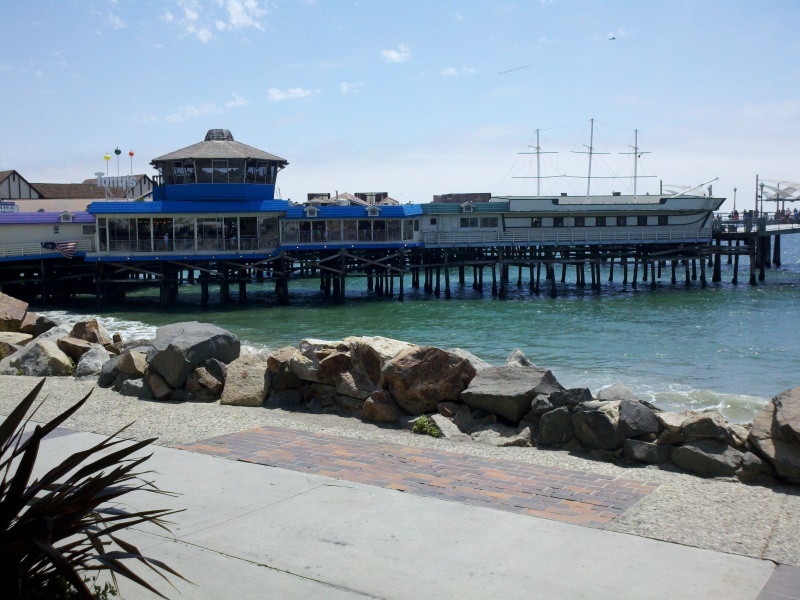 Initially the ride follows South Bay bike trail for about 20 miles. After Venice Beach, it briefly leads inland around Marina Del Rey. 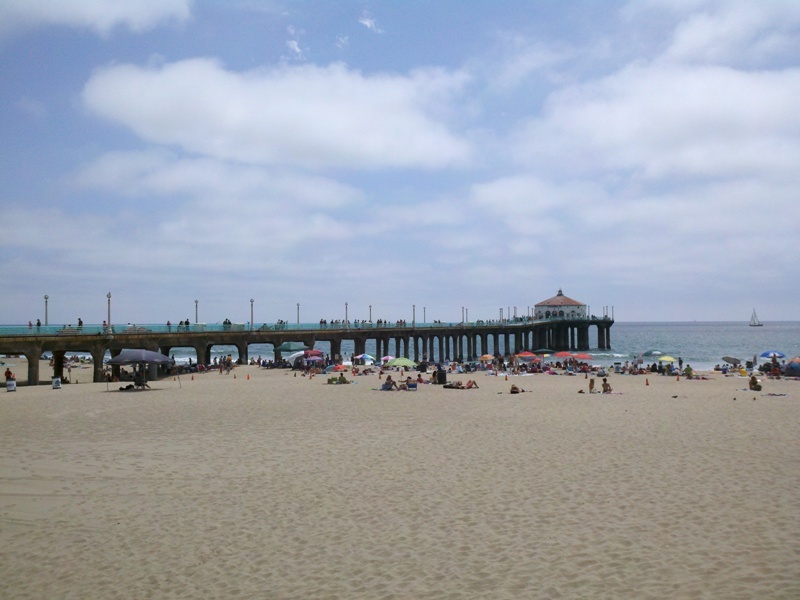 Then it continues on along the beach, passing El Segundo (LAX airport), Manhattan Beach, Hermosa Beach (pier), and Redondo Beach (pier). In Palos Verdes the route leaves the bike trail and follows the road around the peninsula, initially climbing, then rolling, and finally descending into San Pedro. 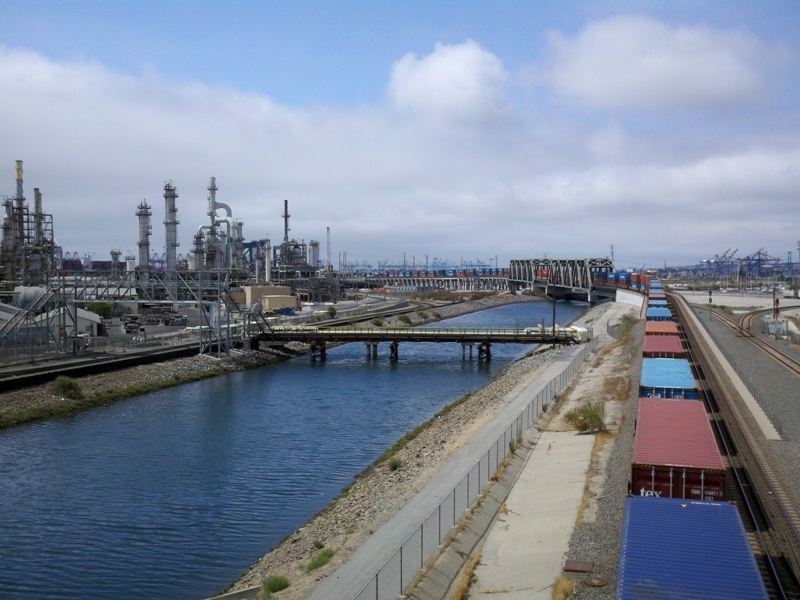 Gaffey Street, Anaheim Street, and the Los Angeles River bike trail lead around the Port of Los Angeles and into Long Beach. 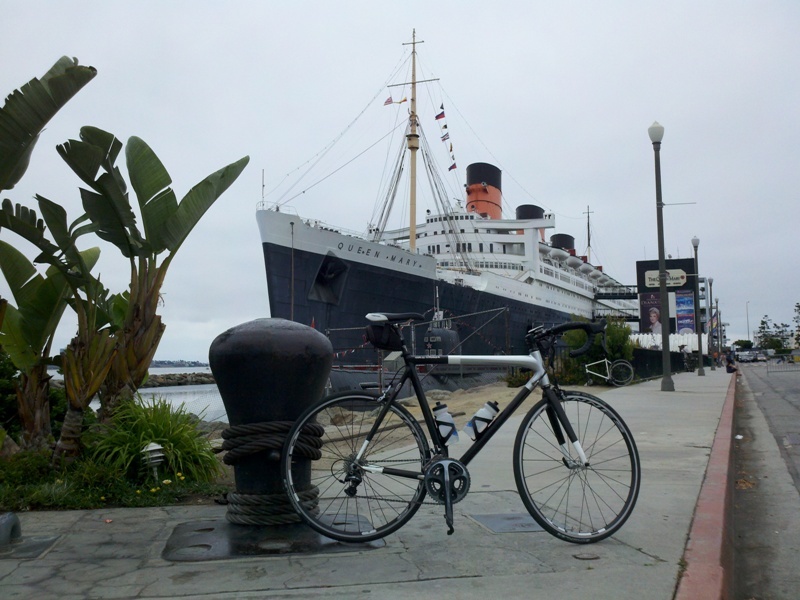 Queens Way crosses over to the Queen Mary, the halfway point. The ride back follows the same course. 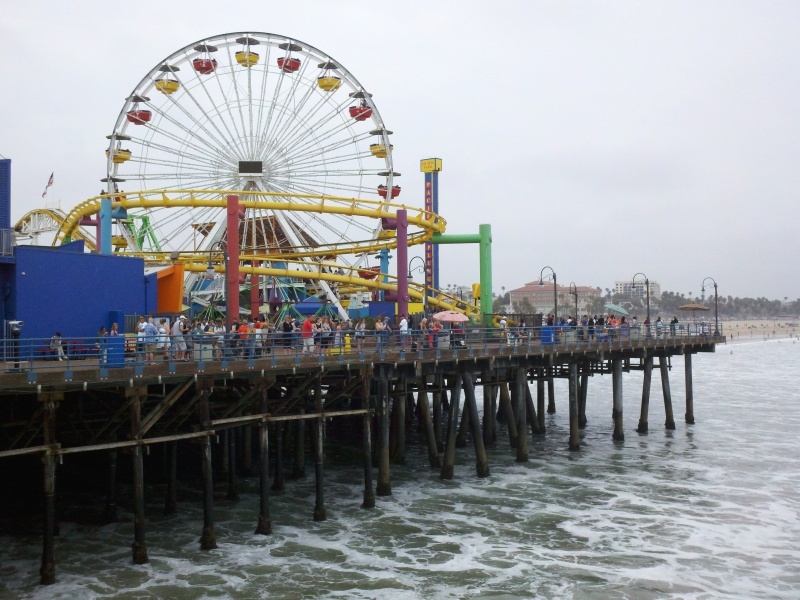 I went on this ride to explore Palos Verdes peninsula for our next Santa Barbara to San Clemente trip. The peninsula offers a good view of Catalina Island and Two Harbors. 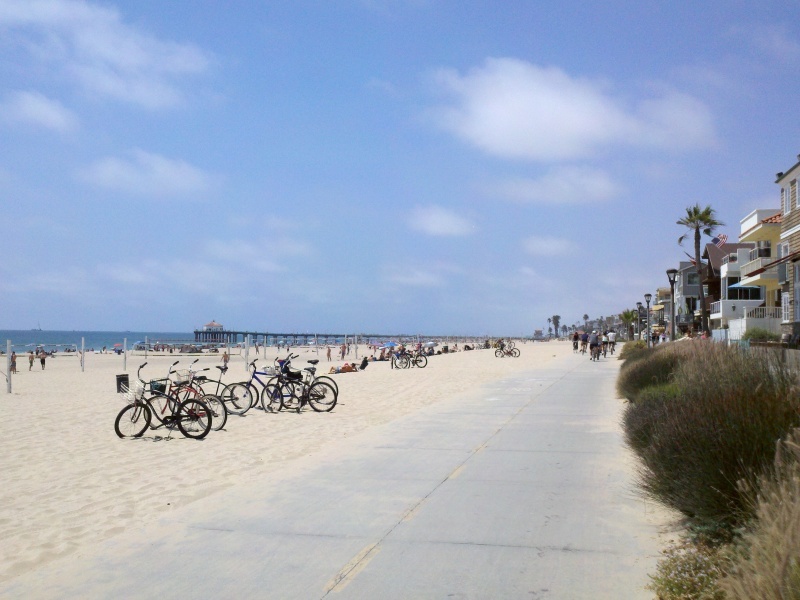 Since I rode the Saturday of the 4th of July weekend, the beaches were crowded and the ride back was slow.